I can see that we need to discuss a bit deeper why each of these occurs. The simple reason, because it's part of a learning process. But I see many people are getting too hung up in them. So, we will split these into categories of BEFORE, DURING and AFTER. This seems to be the extreme test and challenge of being able to overcome EXIT SYMPTOMS and SIGNPOSTS. This is where many new people find their first hurdle. This could also be known as your first taste of a fear test. How far will you go to experience a "non ordinary state of consciousness" totally consciously aware? This is the first question everyone new to this practice should ask themselves. Tom Campbell says you need to have the mindset that "if I don't come back from this, so be it". That sounds pretty extreme. But if your subconscious finds a block, it will continue to use it constantly until you overcome it. How do you overcome it. You talk to your higher self and explain your reasons for wanting to learn this Art in the first place. "Well that sounds stupid. What a silly answer!" I read this all the time here on this Forum when a more experienced member here is trying to help someone consciously project for the first time. Case in point/Example: Every time I get to the point of exiting and then my eyes open. I had this problem before as well. How did I fix it? I broke down the problem further and found that I could wear a "Blindfold", thus finally proving to myself whether or not it was physical or etheric eyes that were opening. I didn't get frustrated, I just handled it and moved on. I did find that once a "block" was successful, that that block would be used repeatedly until I overcame it. Another example of this, the exploding head syndrome. This one was always occurring with me just before a exit and stopped me dead in my tracks. I would be relaxed, I did my Mantras or counting then vibrations kicked in. But all of a sudden a rush of energy built in my head and I felt like it was literally going to explode. How did I overcome this extreme situation. I learned to passively observe it and move on. We use those two words often here. But it's true, "passively observing a exit symptom or Astral signpost is the best way possible to overcome it. Here is a link to a "Sticky" that explains what a Astral signpost is and possible exit symptoms a person "may" experience. Don't expect them, just passively observe them with "air of curiosity" when and if they do occur. I hope by making this thread we can help people that create threads here saying "I can't get past the vibrations, or my eyes are always opening, or .................................. You can fill in those blanks. Lastly just remember this, (I think it was Xanth here that says this), "If you are experiencing something in this practice, chances are that others have experienced it as well". This Forum has some great Stickies (threads in BOLD BLUE LETTERS) that have been created by experienced members here to help you. Use them! They are incredibly helpful. We also have a fantastic search engine found at the top right hand of the page here. This category goes into tests, quests and challenges that may or may not occur during a shift. Simple meaning, what challenges may lie ahead in a actual shift. Examples, during a shift from Sleep Paralysis. You awaken in SP, your first thought, what's holding me down. Oh look it's the Demon from that movie I saw last week or it's my worst nightmare. What has occurred here is you have entered a "dimension" or realm whereas thought = action immediately. So "what's holding me down" has now triggered the memory of that last horror flick. How to handle it. Realize what is occurring and why. Understanding a situation helps you overcome it. Other tests, quests and challenges will come in your actual adventures in these realms. They are also used to help you learn how to "navigate" these areas. I have found there are no simple yes or no answers. Your teacher, whether you think of this as "higher self" or "other" will teach you through experience. Examples of this. During one of me first APS, my deceased brother in law appeared spontaneously on stage at some kind of giant Amphitheater. He then reached down and picked up a bow and arrow that I guess was lying on the stage and shot a arrow in my direction. This taught me "depth perception". He then taught me how important that I learned to just "observe" everything for now. I was very anxious and had many questions. That seemed to be a problem early on, but as everything else there, I had to overcome that. Once I learned how to just sit back and observe, I became like a open book, just sucking in knowledge. The more open I was, the more I was taught and still am being taught today. Through this I was taught Retrievals, how to "Re script" a Dream and all kinds of unique things. But all of this came through numerous and sometimes very challenging and tedious tests, quests and challenges. Now lastly to "AFTER". Hmm, what kind of tests, quests and challenges could lie after a shift or when you become more experienced with accessing non local states of consciousness in general. Well in my opinion this is where the two realms collide. What are you going to do with this new found knowledge? How has this changed you? ...and lastly the most important question, "How are you using this info to better yourself today in this realm?". Non local states of consciousness will challenge your belief systems in all different ways. I myself have seen this first hand on a incredible level. My common law wife was diagnosed with two independent forms of Cancer back in December 2105. It's now April 2016. One was Endometrial Stage 4 B, the other Colon Stage 3. The Doctors basically said Chemo could be used to prolong her life another 6 months, (they had given her 8-12 months of life as it was), but the Chemo would not rid her of it. My belief system on what is and why we are here in this realm, what I was "taught", was tested to the max. I knew what was happening and why, but it doesn't mean I had to like it or that it had no effect on me. I told her that she was the Author of this book and that she and she alone could write the "finale" to this story. I told her she needed to go deep inside herself and do some serious soul searching. This Cancer took years to get to this level or stage. But signs of why it happened were showing itself for years as well. Her anger at life in general had turned inwards and it had manifested into the "disease" itself. During that entire time all the way up to the middle of March I did not have one LD, AP, OBE or anything of that nature. It wasn't for not trying. I was blocked. I was blocked from helping her on a higher level. This was her decision and only she along could choose how this all ended. During that time, I turned to some very good friends I have here on the Astral Pulse. Szaxx, EscapeVelocity and Skeptic helped her and I immensely and I am ever so grateful for their support. The only way to monitor her Cancer was by "markers'. In this case her Stage 4 was a marker known as Antigen 125. Before surgery her marker was 337, which is quite high. They cut out all they could, but still the diagnosis of 8-12 months left of life remained. While healing from her surgeries, she found some books on Spiritual Healing that we had purchased about 8 years ago, but she had never had the time to read. So she began to read and learned how to "allow" healing energies into her. This is where Skeptic was quite helpful. We had many Doctor appointments as well dung this time and all of them concluded with the same thing, Chemo was a must. But she would have none of that. She would not entertain the thought of Chemo. Now the Miracle. In late March, I was on the road picking up some supply for our company and she called me after the results of her new blood/marker test. She was elated. Her Cancer markers went down to 13. Below 30 is the safe/all clear zone. I guess according to the medical community, she had a "spontaneous remission". We call it a "Miracle". She chose to live and I was very grateful she chose that way. I was prepared for either. She did quit smoking. She had smoked for over 30 years. We also changed our diet, limiting sugars, eating more green, etc. But the main change was in her attitude towards life in general. She became a Grandmother for the second time, with a new beautiful healthy Granddaughter. So, she had enough reasons to stay around this realm again. Lessons you learn in "non local states of consciousness" come through tests, quests and challenges. But don't forget, those test, quests and challenges are found in this realm as well and just like the "other realm" ones, we must learn how to jump the hurdles and overcome those ones as well. From this practice you will become more "aware" of everything around you. It's kind of like "seeing" for the first time. You will see we are much more than you first thought we were. You will also find many "gifts" along the way. I feel that the reason we become "blocked", even the most experienced APers, is because we stop using what is being shown to us, what we are taught and we begin to revert back to our old ways. Also, it's because "life happens" and the deeper we get into the physical, the further we move away from the other. A sense of balance is very important here.
" Learning these things has it's positives. But it has it's negatives as well. The more I learn and "know", the farther I grow away from the woman I love. I don't feel like I am growing away, but I can see it in her reactions and attitude towards me now. It tends to desensitize you to things that in life that we should be sensitive to. Just knowing that you are more then your physical body changes your outlook/mindset on life quite a bit. This is why there are many people that start down this road, but can't continue. The physical life fights back and ground them." "This! This right here would be my only "warning" to people. It's a hard concept to explain how you grow to be more loving and compassionate yet you are also less affected by tragedy and sensitive issues. I know longer care about concepts like justice or revenge. I would have no problem with the Hitler's of the world dying and then immediately going to their own heavens without a second of punishment. Why? Because my experiences have taught me to be accepting and nonjudgmental. I've learned lessons in the NP that ten lifetimes of reading religious books couldn't teach me." So, yes, it is important to understand and be aware of the benefits, but also the implications of this practice before you delve down this road. Great topic idea Lumaza, the initial hold ups can be discussed for the many beginners and those reading on what the art of projection is about. It's not as simple as making toast and the rewards are life changing for many of us who stick with the learning, intent on being successful. If you are capable of falling asleep at night then most of the art is already known. Rather than just fading into oblivion all you do is stay aware of yourself enough to remain lucid and the rest occurs naturally. The do or die thing is a part of it though. It's a hallucination of sorts, it feels very real yet it's only so when you're experiencing it. The rapid heartbeats and exploding head are just a couple of examples. These dissapear the instant you get them and knowing what they are that 'yeh whatever' attitude is all it takes. Far too many of us have gone through these and are still around. A sleight of hand can fool you as a magical trick does on the TV. This is much the same with fear tests, until you realise it's a show to see if you're dedicated, it'll keep on coming back. Don't forget the 'yeh whatever' attitude is all it takes to go past it, it's that simple. This is most likely the first test where you can either swing by it or be too scared and chicken out. It's very real while it occurring and a laugh when you pass by it. It's really no big deal. I feel as if I'm somewhere between begore and during; even though I've had a successful RTZ OBE, I am still (slowly but surely) pressing my way through fear barriers. Actually they're more like mild anxiety barriers now. I don't get afraid, but at most I get anxious enough that I become tense and and no longer relaxed, thus temporarily stifling the process and forcing me to try to relax all over again. But I'm progressing, and also conquering new blocks (at a snail's pace). After my exit in December, I soon realized that I had a fear of failing at my second attempt. The first exit had been so glorious and perfect that I was afraid of not being able to do it again, and therefore I was afraid to try again right away. But finally my hunger for this overcame my fear of failing at it! Thank you for this post, Lumaza. Made my day. Just felt that I should let you know. Your Welcome Szaxx, Bran and Whirlwind! If there is any questions or anything you wish to add to this, feel free to ask or do it. This is my personal perception of what is happening. But I have a open mind and will entertain any other theories as well. Through my "disassociation" daily exercise I have found that I can shift my awareness quite easily now. But I still seem to hold a bit of a "dual" awareness as well. I am already there, but I can still feel some of the symptoms/signposts of a exit. I guess it's akin to the "38 Special" song, "Hold on Loosely, but don't let go". Before - It's funny when I first came across those same type questions here I had the same response - just relax into it and observe. Had I read this first I would have felt more at ease saying that. Being new I wasn't sure anyone would take me seriously so it really makes me feel better to know I'm not alone in this. During - I remember a recurring nightmare where I was chased by a hairy monster. I always ran UNTIL the last two times when I was given a 'family' to protect. That was my trigger to figure it out or else. Reaching past that fear is essential. You have to know that you are indestructible in the NP form and only your fear holds you back. And could you repeat the word tedious a few more times. lol. I say only because I'm stubborn and the more stubborn I am the more tedious some of those tasks can be. After - Lumaza, I know that incredible longing to help, to do, to fix and that realization that there isn't anything you can do. It hurts despite what you know to be true. This - "Learning these things has it's positives. But it has it's negatives as well. The more I learn and "know", the farther I grow away from the woman I love. I don't feel like I am growing away, but I can see it in her reactions and attitude towards me now. It tends to desensitize you to things that in life that we should be sensitive to. Just knowing that you are more then your physical body changes your outlook/mindset on life quite a bit. This is why there are many people that start down this road, but can't continue. The physical life fights back and ground them." This is what I have been trying desperately to come to terms with myself. That physical part of me, the part everyone knows wants to react to tragedy the same way it always has but that part of me I've experienced in the NP sees it for what it is. It's really hard thing to balance. I'm trying though. I haven't read the replies here yet. I just wanted to jot down my initial responses. Excellent post and thank you. Another example of this, the exploding head syndrome. This one was always occurring with me just before a exit and stopped me dead in my tracks. I would be relaxed, I did my Mantras or counting then vibrations kicked in. But all of a sudden a rush of energy built in my head and I felt like it was literally going to explode. The "exploding head syndrome" you hit the nail on the head. I totally forgot about that sensation, till I read this thread, as it only lasted a couple second. I was able to make it this far and remember thinking... WOW... Why is there so much pressure in my head? Almost like my sinuses were really plugged but my whole head. At which point my Astral Head fell out of my physical head. What an amazing experience. Great writ up! Read the whole thing and loved it. Thank you again Lumaza. Lumaza and you too Szaxx and anyone else with an opinion, about that whole exploding head thing. Are we sure this is just another exit sign? I ask because I'm little iffy on whether there might be more there. The other night I had a huge one and decided to just see what if anything I could do with it. I 'felt' around up there with my senses while it was going on and when I pressed (with my senses) the pressure got extremely intense. I could hold it but only for a second or two. I could move it around a bit and moved it down to my heart area. It felt really good there but when I released my hold it would immediately move back into my head. Moving it around it felt very much like the vibrations only much denser. Yes, I found it to be a "fear test". Basically a "how far are you willing to go" thing. Once I confronted it, it stopped happening. Well that is until I experienced it again through a "download". Those are rather intense. It sounds like you turned it into a great focus target. Kudos to your experimentation with it. I love experimenting anew. I move energy around often using many of my daily "etheric practices". It's a great way to alleviate pain too. Haha, figures! I lost any fear I had of this a while back. I absolutely never experienced any exit symptoms till recently. I do think they are just a way to re-awaken what I've been ignoring. When I got it to my chest it really made my chest feel looser but it gave me a whopping headache. I still experience "exit symptoms" until my focus deepens. I also still experience "fear tests" once in awhile. I see this as a way to keep me feeling "empathy" for those here that are just beginning this practice or those that come here after just experiencing their first terrorizing bout of SP. That jives with what I was thinking too. Being able to pass on what I know, but I have to know it first. I see this as a way to keep me feeling "empathy" for those here that are just beginning this practice or those that come here after just experiencing their first terrorizing bout of SP. This just happened to me this morning. I rarely get scared anymore of SP, but I dont know what happened this time. I was awoken as I was sleeping on my side by loud voices. The voices were very clear and they sounded like professors were presenting lectures during a scientific conferee. I was about to think of a place and refocus completely, but then a thought popped in my head that some ghost is behind me and will start lifting my blanket. After the fear built up, I tried to wake myself up but I couldn't. Then I thought to myself, wait, you know better, just think of a place. But despite this, my other part felt I should wake up and protect my physical body LOL. So, eventually I did, but that is not typical of me. I laughed in the morning. I've had that too LightBeam. I don't generally feel fear but once, recently, my reaction was off the chart fear. It was weird bc I knew there wasn't anything to fear. But somewhere there must be a piece of me that isn't getting the message. Then I thought to myself, wait, you know better, just think of a place. But despite this, my other part felt I should wake up and protect my physical body LOL. So, eventually I did, but that is not typical of me. I laughed in the morning. Don't you hate it when you come to the realization that "hey I know better", but you do after the fact. In a way though it helps not knowing "better" at the time. It gives you more time to just enjoy the adventure/simulation at hand. I find that if I become too aware that I am in a Dream, that the Dream ends because I start to deviate from the intended scenario that I am experiencing at the time, thus losing the intended message or purpose that was being shown or taught to me. Lumaza- just reading your thread here led me this morning to deviate from my ongoing morning dream and to recognize the ebb and flow of my consciousness as I became increasingly aware of both my dream and the fact of my normal waking process. I keep a boat on the river nearby, and I have to make the decision soon, when to have it winterized, so it has been on my mind. This morning, my dream involved three different scenarios: one involved finding and crewing my boat, and I was chasing it, like it would appear in different locations on the river. There was also a dream involving my participation in a house (which may relate to the Pulse). This dream series was close to my last of the night and sometime early morning, so I was heading towards complete waking. But as I neared the 'surface' of full waking, I was able to recognize and re-submerge myself back into the depths of the dream and let the dream continue. I was thinking about what you had said about dream recognition in this or another thread and that became a conscious operative thought at this point. Writing this out provokes another question: How many of us experience dreams in groups of two or three at a time? I am saying that I will have a sequence of three or more dream storylines going on throughout the night. Sometimes, they are all resolved by morning; sometimes not. Anyone? I experience groups of dreams, usually 2 to 3 per night. I tend to become more lucid toward the morning. Sometimes when I leave a dream that I like I go back to sleep and resume it. I know what you are talking about when it comes to the awareness. If you raise it too much it often ends the experience. When I was younger I would try to control my dreams my raising my awareness, but I could instantly sense that the more I changed the worse my grip on the reality would become. The stability of the dream is felt like an extra sense. If you toy with the gradient enough you will start to waver in between dream and waking perception. Then may start to perceive both realities simultaneously. A lot of these dreams do seem intelligent somehow, and either our consciousness is unstable or they don't like to be broken. I also exp dream groups, sometimes they are all related with differing scenarios and sometimes seem to be unrelated. Lately I've been having trouble hanging onto them when I wake. I simply forget to take that extra moment to submit them to memory. I don't worry when this happens. I know that if there anything in the exp that needed to 'stick' that I will have a repeat, sometimes the following night or maybe a week or month or so later. Trust is the big issue, you need to trust yourself. <-- That's for the newbies. I think more experienced APers know this. I have read tons of responses here about the eyes opening. Now sometimes that might be a problem but not always. As for me, if my eyes insist on opening I let them, however I keep my focus on what I am seeing when they are closed and do not focus on the room I'm in. I've found that whatever I am seeing with my closed I will continue to see with them open. Just wanted to put that out there as it might help some who are having issues with this. Maintaining that focus within the dream state and not waking is a challenge. I played with this ages ago and found you can stay embedded if you replay the experience in order to recall it. You wake with full recall and it fades almost as soon as you wake. Later in the day something triggers the memory and once again you have full recall. It does mean your awareness has to be on target for recall or you miss it. A game of patience indeed. Any thought of the body or waking kills it although it is very similar to staying in the 3D zone respect to thoughts. First off EV, excellent post. You got the "ball rolling" again and I Thank You for that! Sometimes that's all it takes. 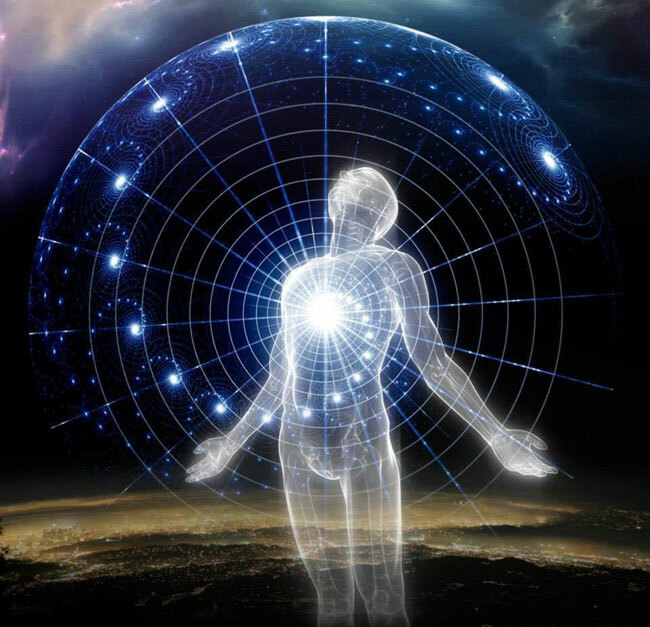 We read quite a bit here how a person had their first successful "conscious shift" after just reading a book on Astral Projection or hearing someone speaking on it via a video or live seminar. But as I neared the 'surface' of full waking, I was able to recognize and re-submerge myself back into the depths of the dream and let the dream continue. I was thinking about what you had said about dream recognition in this or another thread and that became a conscious operative thought at this point. Now you are learning the Art of what I have always called "Re-Scripting". You can become aware you have left the Dream, but you don't quite wake up. It's kind of like a brief lull before all of a sudden you find yourself back in it again. Many times this is because I failed at whatever test or challenge I had been given in that Dream simulation. It first started happening to my spontaneously though. It took awhile before I was able to control the ability to re-script or not. That is what "Tibetan Dream Yoga" and what Robert Moss calls "Dream Walking" is all about. You learn to observe first. Then when the simulation is fully functional, you consciously "react" to it. My "Trigeminal Neuralgia" was responsible for me being able to achieve this. Although a very painful way, nonetheless, it worked. I would go to bed, close my eyes and my eye and facial spasm would kick into overdrive. I then would put my left hand on my the left side of my face and try to calm the nerves as I attempted to fall asleep. In the beginning, before I started taking pills to calm this, it would take anywhere from 1-3 hours before I could fall asleep. But, I found myself watching my nightly Dream cycle. Many times though, I stayed consciously aware the entire night. I still do today. But that seems to be more spontaneous now. I close my eyes to go to sleep and the next thing I know I am wide "aware" again. Not necessarily awake, as in with my eyes open. More of consciously aware but more of a "ultra" very strong awareness. It's very hard to describe. I saw that my first Dream of the night had to do with "the now". It seemed to be whatever it was that I last experienced here in the physical, like a book I was reading, a movie I was watching, a job I was doing. Everything was based on this current time. Next was followed by "other". This is where things got foggy though. This was well into the Dream cycle and this seemed to be the real "training grounds" or school should I say. I say school because in this area there was a "teacher" of some sort. This is where the tests, quests and challenges were initiated. Yes, I found that the worst thing you can do to destroy your Dream recall is to wake up by a Alarm Clock and there is always the "okay I need to use the bathroom, then I will return to write what I can remember" scenario. When you finally get back to your bedroom, your "recall" is null and void, lol. That happens quite a bit. But you can beat it. When you are on your bathroom trip, keep using key words to keep your mind on what you last experienced. To beat the Alarm Clock distraction, just use you "internal" Alarm clock to rouse your consciousness an hour before your physical one on your bedstand goes off. How do you do that? You program your mind before you go to sleep. I do that by visualizing the time/numbers I want to wake up on a actual Alarm Clock. EX. I will see the numbers 8:00 flashing, when I want to become consciously aware at that time. You can also use the affirmation that you will keep your eyes closed and not move your physical body when you first become aware in the morning. Just know that you can teach your mind to do what you want it to do. It just takes training, like everything else in life does. I do want to tell people though, "Be careful what you wish for". Many times I hear people that say they want to experience this. They work towards it and finally get what they desired. But the next thing you need to learn is "how to turn it off". Turning it on is one thing, turning it off is something you need to learn to do as well. You can find yourself awaking after every single Dream, which is quite tiring or you could find yourself like me, just staying the entire night. I will tell you one thing, there is a good reason that we lose our conscious awareness when we go to sleep. It is very hard to juggle the two of them and you may even find that you begin to have problems separating what "reality" you are in at the time. They do begin to merge. I know what you are talking about when it comes to the awareness. If you raise it too much it often ends the experience. Trust will lead you past your fears. Trust will bring you to new places and new experiences. Trust will give you piece of mind! I could keep going on, but I think that "hint" has been received! Some people have a problem with this during a Phase or actual OBE attempt. I don't think it happens from a Dream situation. I just wanted to state that so it didn't confuse anyone. In the last posts above we have been talking about situations related to Dream state. ...and our resident "Guru" chimes in! I wanted to chime in here ... last Thursday I spent the early morning (over 2 to 3 hours) rolling in and out of several dream-like experiences ... I was milking my focus 10 state while taking advantage of my conscious and intentional recognition of it. I am guessing that the hemi-synce I was listening to was also prolonging this state (I have a 90 minute recording on an old Ipod). I briefly woke up when I heard it end, and started the recording over and went back into the experience. I use the word 'dream-like' as I could not confirm I was out of body (the landscape was too fuzzy), but I was definitely more lucid as I decided to transition by jumping out of a window and going somewhere else. There was an element of control that is not present in dreaming. I also spent time with a guide. Afterwards, I began to question if my "milking this experience" was a low level form of dream yoga that Lumaza has mentioned before. After exiting the experience and resting in the focus 10 state, your first name came up. I wanted to ask if you somehow visited me last week or maybe were even a character in my experience. I also had some 'energetic experiences' when meditating earlier in the summer, where I questioned the same thing about you but felt it was more like you were sending me energy (rather than visiting).